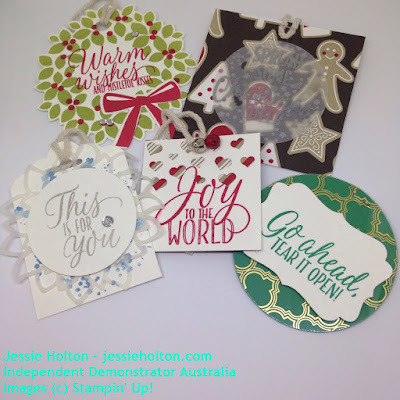 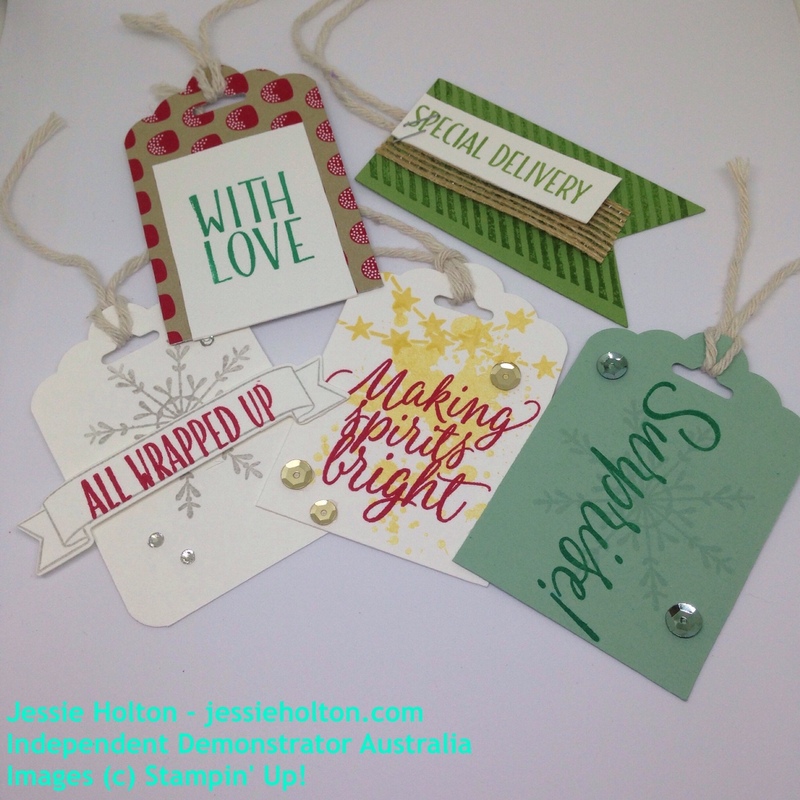 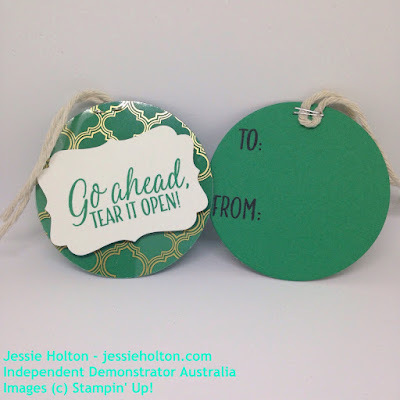 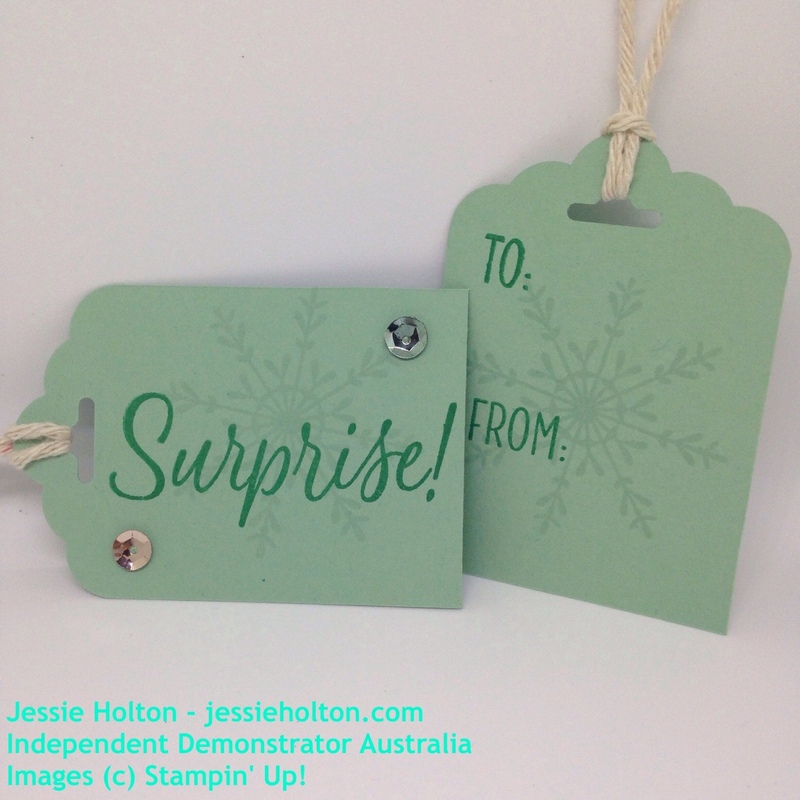 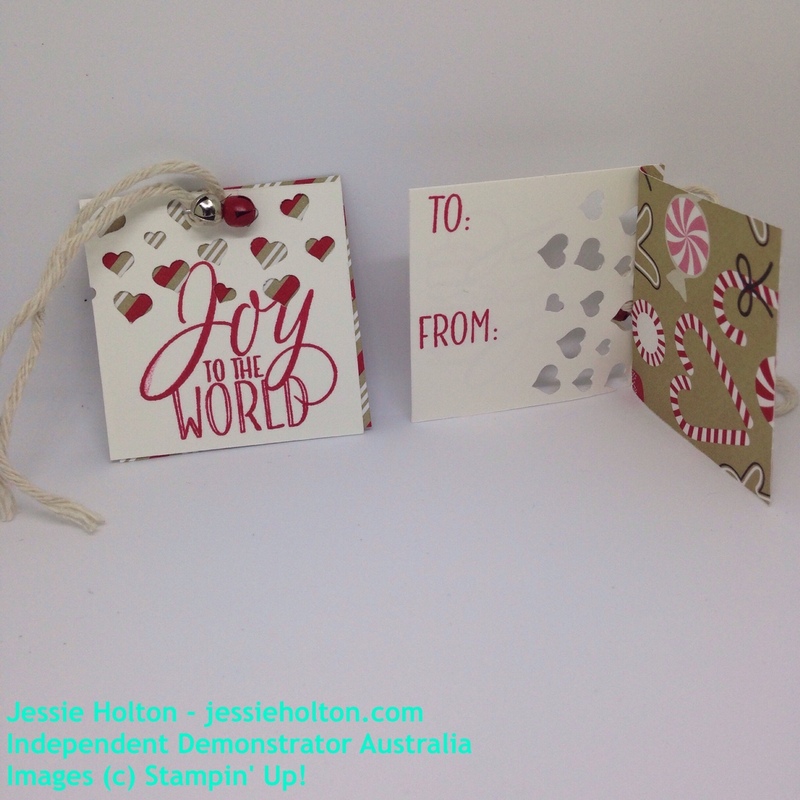 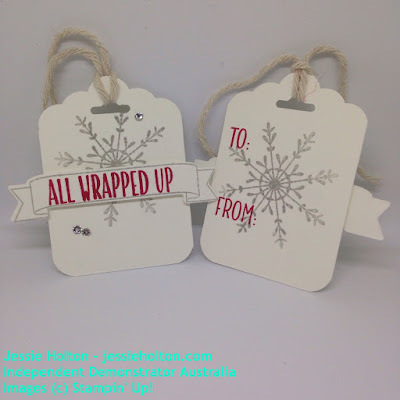 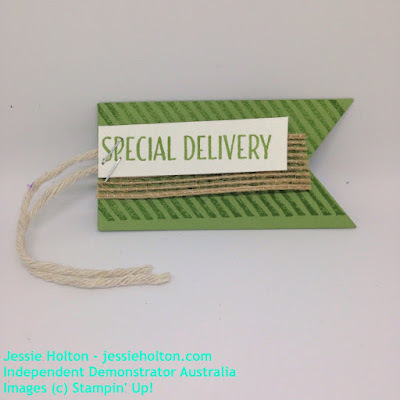 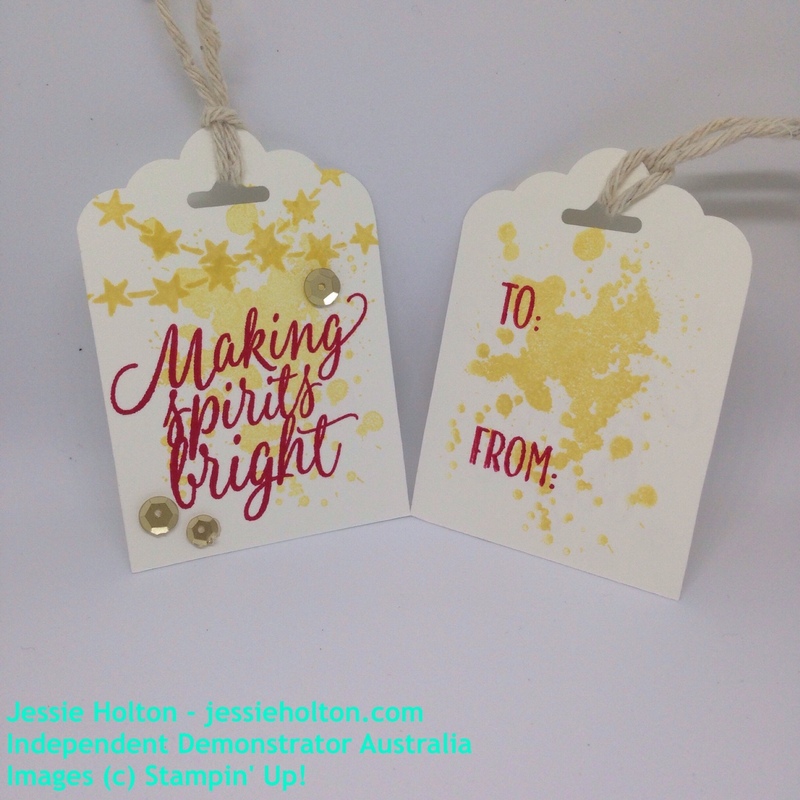 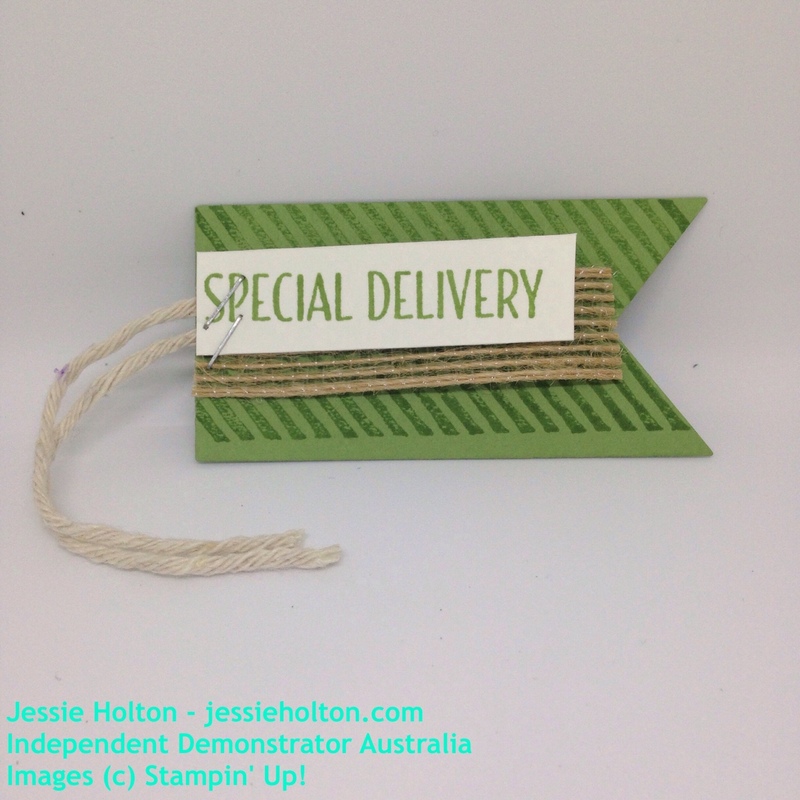 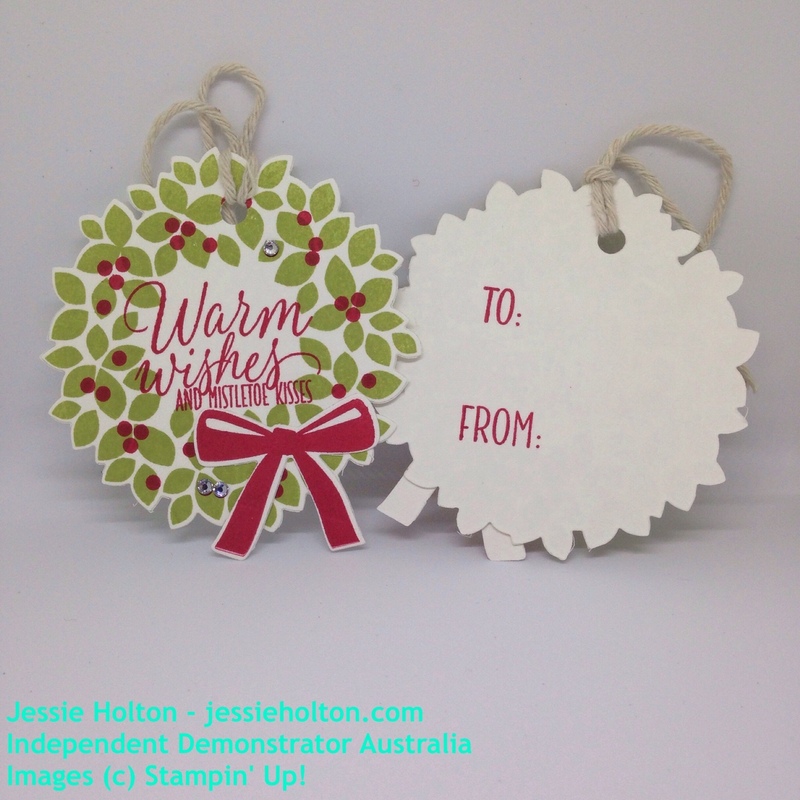 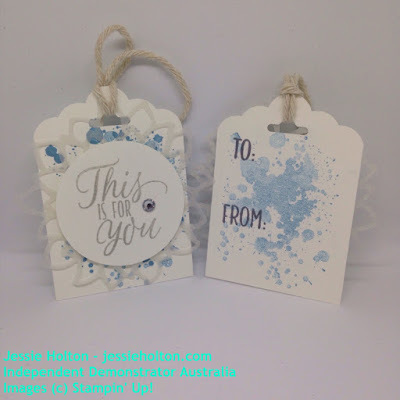 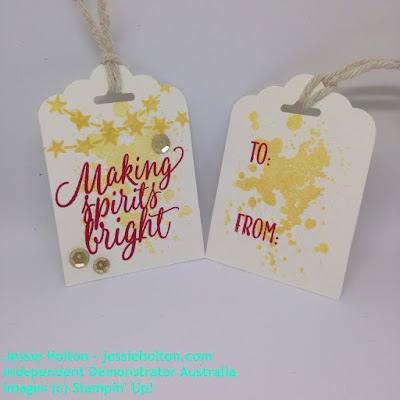 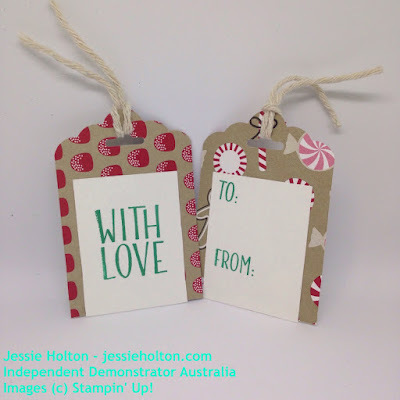 I have made a bunch of really adorable tags using the Tin of Tags stamp set by Stampin' Up! 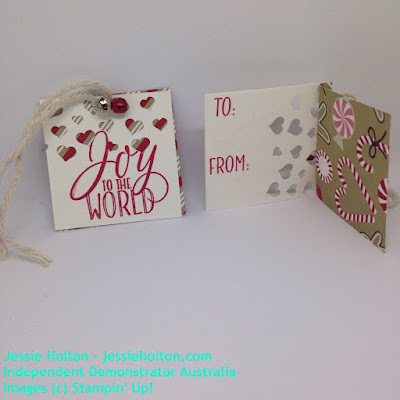 & I'm so happy with how they turned out! I have cased a few of the Tin of Tags Project Kit tags & also come up with a few of my own. I have made 10 Designs & a little bag to put them. And the second five! Now I'll show you them each individually. 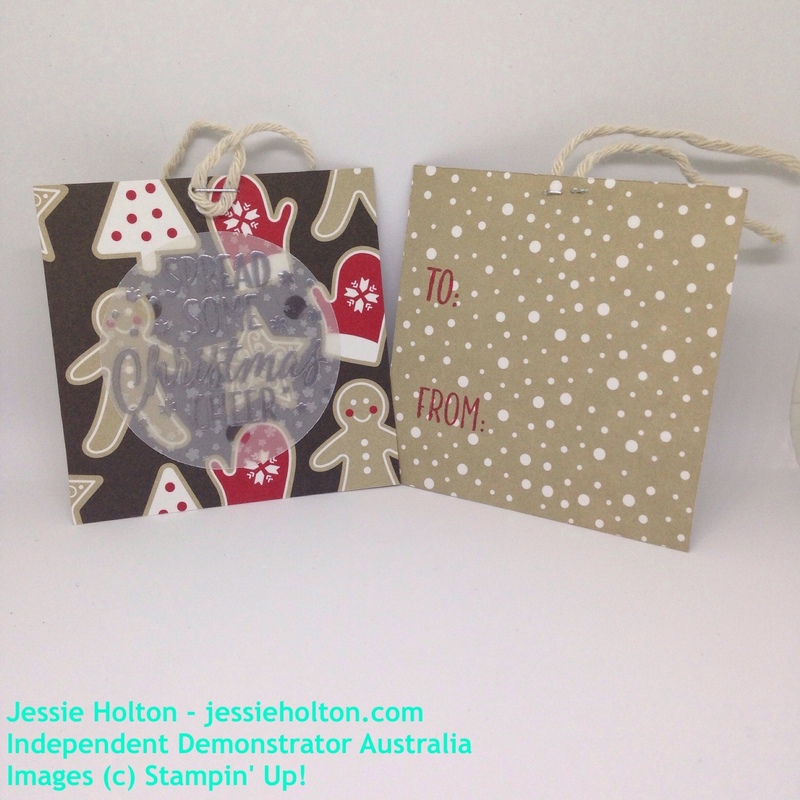 Additional Bundle: Number of Years stamp set & Large Numbers framelit dies. 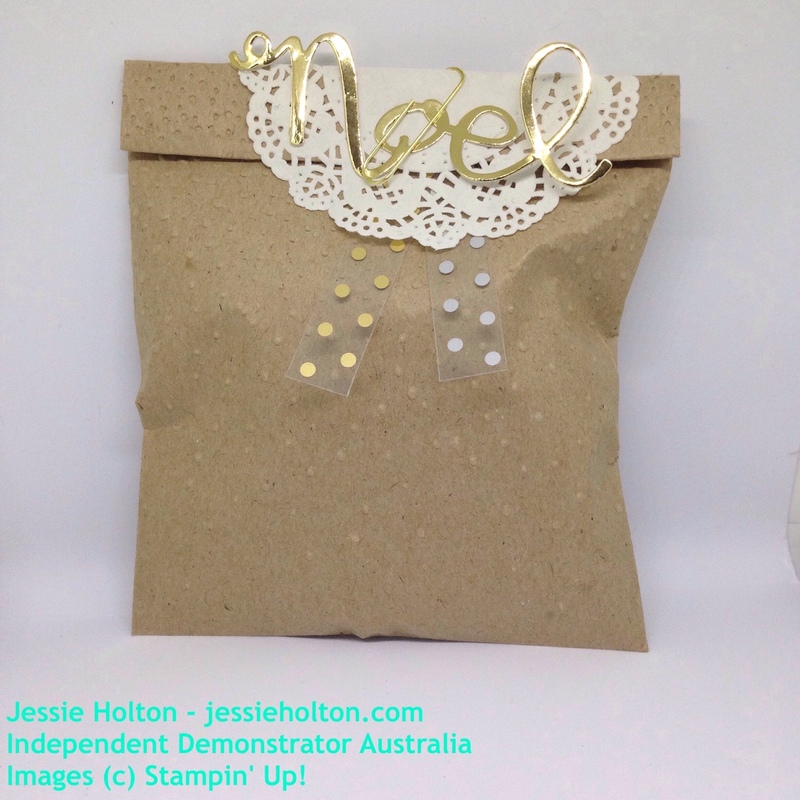 And here's the bag I made to package them up in. It's a Kraft Tag a Bag Gift Bags, embossed with the Softly Falling Embossing Folder, then I've folded it over & used a Delicate White Doily & the Noel sentiment cut from Gold Foil, using the Wonderful Wreath Framelits. 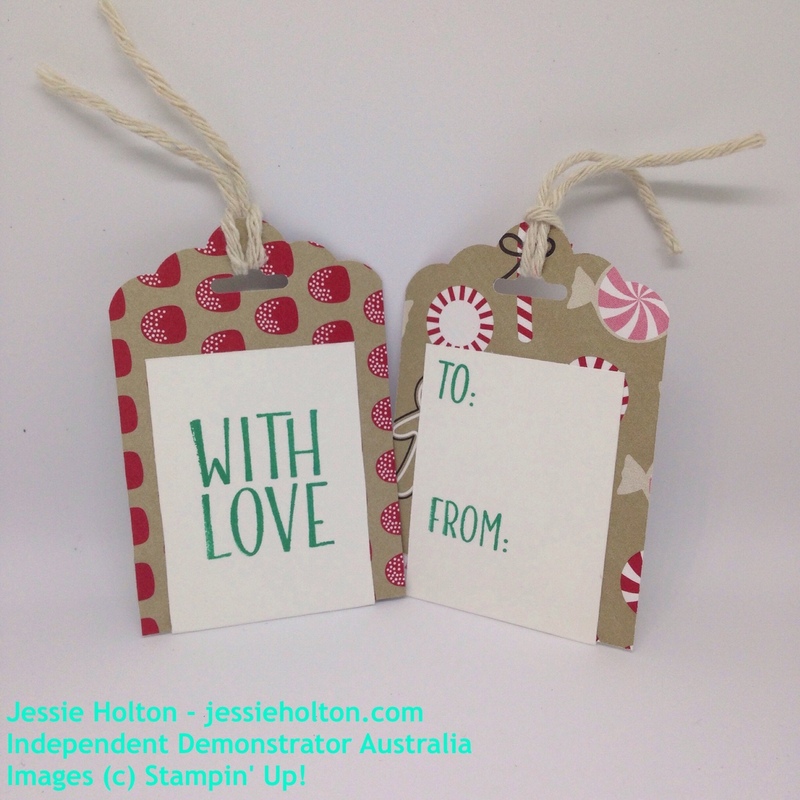 I've also folded a length of Fabulous Foil Acetate to make a little polka dot banner.